Voice your opinion! Review Guitar Guitar now. I am more than happy with their work. Is Guitar Guitar your company? 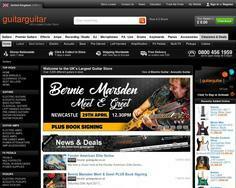 GUITARGUITAR are the UK's largest guitar retailer online & in-store. Buy across 7 shops, 1000s of guitars & musical instruments with free next day delivery.